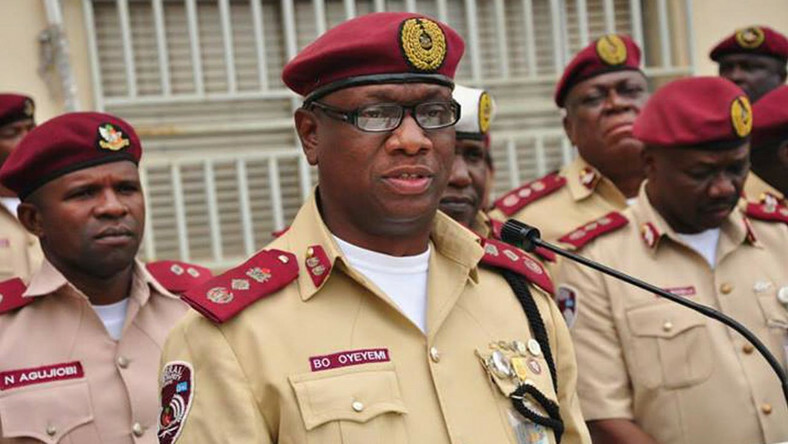 The Federal Road Safety Corps (FRSC) says it has advanced an aggregate of 4,660 of its staff across the nation in the 2017 advancement program. This is continuation of the endorsement by the Secretary to the Government of the Federation (SGF), Mr Boss Mustapha. The Corps Public Education Officer (CPEO), Mr Bisi Kazeem, reveal in an announcement sent to writers that the advancement was likewise in accordance with the endorsement of the leading body of FRSC. As per him, 1,310 of those advanced are officers, while 3,350 are marshals. “Among them are 73 deputy corps commanders, 51 assistant corps commanders, 70 chief route commanders, 150 superintendent route commanders, 607 route commanders and 359 deputy route commanders,” he stated. Kazeem reveal that between the 3,350 marshals that profited from the program were 29 chief inspectors, 33 deputy cheif inspectors & 48 assistant cheif inspectors. “The promotion took effect from November 27, 2018,” the announcement revealed. He encouraged them to legitimize the certainty rested on them through enhanced efficiency. Oyeyemi said that the administration would keep on remunerating diligent work, greatness & enhanced efficiency by the worker.